Bob Garrett will be joining me for this show. Albert Ostman (died 1975) was a Canadian prospector who reported that he was abducted by a Sasquatch and held captive for six days. He stated that the event took place near Toba Inlet, British Columbia in 1924. On August 20, 1957, police magistrate A.M. Naismith wrote an affidavit which states “…I found Mr. Ostman to be a man of sixty-four years of age; in full possession of his mental faculties. Of pleasant manner and with a good sense of humor. I questioned Mr. Ostman thoroughly in reference to the story given by Mr. Green. I cross-examined him and used every means to endeavor to find a flaw in either his personality or his story, but could find neither…”Albert Ostman also signed a Solemn Declaration indicating that his account of the Sasquatch story was true under oath and by virtue of the Canadian Evidence Act. Awesome this should be a good one. Thanks Wes. Thanks Wes, for all your hard work and for making Sunday nights fun. You’re awesome! Another great show Wes. This show just gets better. Thanks for the effort you put into SC. Fantstic job mate. Loved the show, i stay in a small town in scotland called Lanark,we have nessie lol but she wont eat u if u go for a weekend camping in the woods. these recollections are some of the most terrifying thing i have heard,keep up the good work Wes. This story always makes me think. What was this group’s intentions with him after his supplies and the rest of his food dwindled away?? This telling seems to have embellishments that aren’t in other reports of Ostman’s story. Along with its fictional rather than factual presentation style, it’s a far cry from what this site is best at. Bob, on the other hand, has all the characteristics of the real deal. I could listen to him all day. Saying thank you just never seems enough. Nevertheless, thanks a whole big bunch for everything you do. You are greatly appreciated my friend. Cool show! This is the kind of story that terrorfied me as a child, I remember mom comforting me in the middle of the night. Scared to death Bigfoot would grab me! There’s a reason but who believes a 5 year old? This story I do believe. Didn’t Rene Dahinden ultimatley believe this story was fake? He had his reasons but I don’t remember them or what episode it was on. Not all Sasquatch encounters are violent, even in David Paladies 411 & other books there are stories of mostly children being sheltered, warmed and safely returned. Amazing creatures! You too Wes, thanks for weathering the storms. Sounds like the guide and store keep are related to “Assey McGee” ?? Good production Wes! I missed having an encounter interview tonight. Have heard this story many times. That was great! Wes, you are a true “story teller”. I’ve read the story in different forms but you told it wonderfully, and the discussion was extremely thought provoking. I never thought about the bf’s individual actions or his actions around them. Really enjoyed this one. This was a FABULOUS SHOW!!! I was so happy to hear a very even-handed discussion and opinions. Also so grateful to hear Bob repeat that he would not have shot the Sasquatch family in a similar circumstance. Maybe Bob could come up here and go out on an expedition with Wes and have a new type of encounter! They seem to pick up on your intention for being in “their” woods. Also, I totally agree with the noisy vehicles. The noise and commotion does drive game away and probably hurts Sasquatch hearing too. Thank you Wes and Bob… again for a good show. Are you guys going to Sasquatch Summit ? When Albert Ostman was dropped off at the bigfoot camp-lair I noticed that the female probably his mate, was complaing. Wes there’s an online story from a call in show where a 5-6 yr old was lost crying in the woods and is carried and walked back to his camp by “curious George ” . You should find that episode and try to interview that dude….sounded very legit. Great episode tonight….too many details to make up if this didn’t really happen. Loved your rendition, Wes. Fun stuff & appreciated. Thank you, Bob. Always a real treat when you come on & share your stories! Brilliant! Thoroughly enjoyed it. You were trying to figure out why they wanted him. Have you thought that they may have been keeping him for later. Like a mobile larder, or meals on wheels. Back in the day they say the Maori, some of whom used to be cannibals, used to keep prisoners till times got tough then eat them as needed. An awful thought, but possible. Really enjoyed the story Wes and Bobs input was always appreciated. I was going in to this retelling of this story 50/50 but your production values and license to make it entertaining were well done. Then to have Bob Garrett comment on the story was very cool. It gives us more insight as to what the behaviors and thoughts of a Sasquatch family unit might be about. Keep the content coming I keep on listening and it’s worth it to be a member! Wonderful show. Thanks for all the hard work pulling all the background sounds and making it into a great story. My son and I listened and he absolutely loved it. The snuff scene is hilarious. I actually had studied this encounter several years ago and watched Albert’s video interview as well as read the statements he made. I do recall one thing you did not mention in the show. I recall Albert mentioned about how the sasquatches were not interested in getting near the fire. I suppose that is probably obvious but just thought I would mention. WOODY OSTMAN ! ……………………………………………………… I LOVE IT ! ( gotta find something for Him to do ? Pay for His Own Beer Tab ! Great job Wes-it was like listening to an oldtime radio show-the theatre of the mind. You hit on all the major spots of Ostman’s account, I was glad that you didn’t forget to tell about the game the young boy would play of flipping himself and seeing how far he could go. I mean who would make something like THAT up?. Thanks Wes and Bob really enjoyed the discussion. One thing that about the story that I found very interesting was when the young male jumped up and grabbed the can….seems very similar to other animals with a sense to grab something moving….helps validate the “don’t run” recommendation. Wes, just wanted to say that I really like it when you and Bob are together on air. Two “the real deal” guys!! Yeah, I know I can’t tolerate the “Get me a Snapple” T(om Biscardi) guy either. You and Bob are in the “you got brass balls” club! The parametric from the other night episode, seemed to have joined the club too! You may be waiting for your “Saquatch to study in the garage “but I think Bob might have one is his garage in TX! lol Thanks for all the great shows, they are truly the highlights of my two nights a week, if not more. I listen to them over and over. Thanks for this one too! Love S.C.!???? You and Bob together…what a HOOT….fun show. Thanks for all your hard your extra work. Nice show as always. I don’t know if it is a true story but does seem to strike a note of truth. I was raised on a ranch in WY and we had a lot of “old timers” working for us and some Native Americans. The Native Americans believed in bigfoot and I had two face to face encounters in the mountains when I was younger. By the way the Old timers cooked up porcupine all the time. It is a white meat and not to bad but I could live without it. Keep up the great work. Wes you always do a super awesome job in retelling the historical accounts of long ago ,and even though I had John Freitas tell me that Ostman was not telling the truth it has always been one of my favorite stories,Wes even you thought is was strange that they had a vegan diet during Ostmans stay with the creatures ,only Ostman knows for sure . Bye that I mean they are Both Germers ! See , He said they were Talking . Wes! AWESOME!!! Thank you!!! Keep it up!!! Great show Wes, awesome !! Very well done ! Since you did this story….any chance you’ll do the abduction story of Muchalat Harry in 1928…? Are there any articles written about the story’s veracity? I told my wife I want to get out with you and Bob in East Texas…she thinks I am crazy and suggest I up my life insurance. Have a good week everyone!! Why did Ostman get kidnapped? I’ve always wondered if he was taken as a mate for the daughter. Fantastic show Wes! Well put together. Love to hear you, Bob and Woody all in the same episode. The interplay within the Sasquatch family always cracks me up. Papa Squatch brings home an interesting man-pet, and Mama Squatch expresses concern over it. 🙂 The incident is a reminder that these creatures are closer to human than not, and very capable of some thinking beyond the basics. Bet Papa squatch thought to himself, this snuff is vosatile!!! Good job Wes !!! Just love the way you tell the story !!! And Bob on the show is always top quality good . I’m from Quebec, canada ,At Mont-Tremblant ski resort ! So I listen to your show all the time !!! This show was awesome Wes. You really have found your calling. I think they liked his goodies they had stolen and thought if they took him (the source) that he would produce some more and maybe they would even learn where they could find it. I thought the part where Albert thought about taking the little girl back with him…putting her in a circus situation to make a buck. Very candid of him to admit that. Lol, Clinton. gotta love Bob. Do you think he meant “volatile”? That’s all I could figure that seemed to fit. Love it. Why is it so strange to think that a squatch wouldn’t be as curious as a human to bring one home? Anyone who’s listened to this show from the beginning and other reports has heard the many instances of live ones being hooked up to drugs in a crate being moved by hired help who are working for someone wealthy enough to buy whatever he wants, and tales of military abductions (as well as killings) of them, along with live ones saved from the Battle Mountain fire and the Mt St Helens explosion that mysteriously disappeared after being saved, not to mention the many, many Native tales of kidnappings over centuries with some returning as adults, and present-day Missing 411 cases researched extensively by David Paulides. I tend to side with the tribal people and Bob: they are people, and they are a lot like us, at least some of them since there seem to be different species in different regions. There are good ones and bad ones, and curious ones who just want to study us in their caves, just like surely there are ones being studied somewhere in captivity by humans. Really enjoyed that. And great discussion following. I’ve never heard the Ostman story so intelligently discussed. I know that took some time to make. But if it’s the first time hearing this sorry you should read it or listen to it from another media as well. Many small details left out. It’s a great story and it should be know in it’s entirety. 😀 That was really great work and very creative, It would have made H.G Wells proud. I love this episode, I always wanted to know Bob Garrets opinion on the Ostman encounter, and i wasn’t disappointed. Heard this story so many times now, i find this one so very hard to believe! Hubb blub hubba blah blah blah! This would make a great movie!!! Love the snoring. LOL I remember reading this at my Grandmas house as a kid. I guess I think he developed it as a campfire liars story, taking bits and pieces he experienced and had heard from others to craft a tall tale. It used to be a thing. He need not have experienced all the events he described. People then talked about such things late at night, just like we do. You guys left out the part where he insinuates he was perhaps destined to be a mate for the young female. That right there says fiction, to me. It is lonely out there by yourself in the deep woods, but I dpn’t think that is really going to happen. He probably heard about Native girls being kidnapped and extrapolated. I doubt he was really kidnapped, but the various details are informative of the state of woodsmen’s knowledge of sasquatch at the time. And it’s a ripping yarn. Maybe they saving him for meal, later on. Great production about old Albert Ostman, Wes! Thanks. I thought it was a professional job! One you can listen to many times. You & Bob are great together. You both have street cred on the subject. Throughly enjoyed every part of this show. Thanks again for all your hard work putting it together! Wes, about the kitten toy analogy, there was the documented case of the teen girl and her three friends that walk down the path to the lake 0ne night under a full moon down to the lakes’ beach, and they discovered the headless kitten in the beach chair. And as they left she spotted a huge Sasquatch laying upon a large tree branch, just right over the game trail / footpath to the lake. The head was torn of off the kitten; Why? Did the huge Sasquatch pick the kitten up, and out of fear or for just wanting to be left alone and squirming like kittens will do, the head was torn off the kitten. If it was any other predator, like a raccoon, or a squirrel that Kitten would have been torn up and eaten. Animals told tear of the heads of kittens and then lay them down in a nearby beach chair. You need to look at and consider their view. Take the Bauman encounter / attack / death of his trapping partner, where the two humans arrive in wilderness, they build a huge roaring fire, and in the morning they start laying beaver traps, the Sasquatch watches in curiosity, and right after the trapper leave the pond, to go lay more beaver traps. The Sasquatch watches as a beaver starts thrashing about, struggling to get free and dies with its legs stretched way out. Later the Sasquatch follows the trapper, see him harvest the dead beaver from the odd steel thing. Takes the beaver, guts it, and cuts the pelt off, tossing the beaver into the stew pot. Those beaver are a part of that Sasquatches food source, and those two humans are killing the beaver and the deer. Then as the Sasquatch is making a hell of a ruckus, one of the trapper’s starts shooting at it. Sasquatch then wants those intrusive humans dead, and as they didn’t take the first warning, as it ran through the woods just beyond the camp fire, as it was hit with a bullet, it is now going to eliminate the intruders. Sasquatch is just as inquisitive and intrusive as are humans. Was the Bauman encounter the one that took place in Nahanni Valley, in Canada? I read about a similar story, but these guys were looking for gold, if I’m not mistaken. I read the story decades ago, where the survivor was found crawling out of the bush by a monk. Later, before he died he told the story to the monk of what had happened. I was curious of this was the same stories because of the similarities. I Russell, sorry for not getting back to you as I don’t have a comment notification set – up, so it just chance I come back by. Russell the Bauman encounter and the Death of his fur trapping partner was in the Bitterroot mountains, eastern region just over the Idaho eastern Border into Montanan’s Western border. It was a classic encounter as it was told to Theodor Roosevelt and published in one of his books. 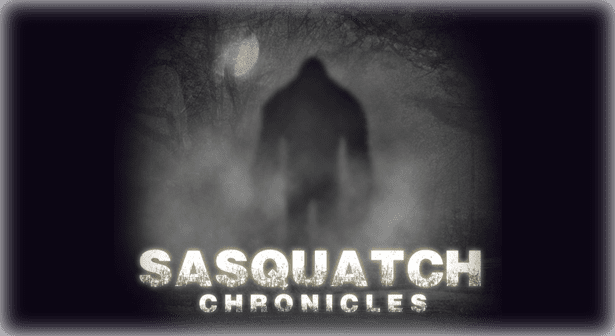 It may be here on Sasquatch Chronicles, but I first read on BFRO web site look up the Classic encounters, over at BFRO. Now If you search out Bauman encounter, there has been a resent encounter / death, where a prospector, or was it a hunter’s body was found torn into pieces. The original Story happened in the mid / latter Victorian era. 1888’s 1890’s. Do you want me to try and hunt down the encounter story you speaking of? Nahanni Valley is also known and referred to as “the Headless Valley’. Animals told tear of the heads of kittens and then lay them down in a nearby beach chair. corrected for Type – error / as it should read as: Animals don’t tear the heads off of kittens and then lay them down in a nearby beach chair. The pig squeal got my attention because I’d heard that same noise 2x in one night (abt 5 minutes apart) when I was taking photos of a spider, I did use a flash and it was facing the direction of the noise. Makes me wonder if I startled it with the flash of light? Of course mixed in with the pig squeal was a horse noise like it was in pain. Very interesting indeed! 🙂 Loved this show! Just left a note in the forum re cannibalism. Hope you folks out there have some info. Trying to figure out why some are more aggressive and figured maybe cannibalism has something to do with it. Does cannibalism result in degradation or death like inbreeding?? Maybe these creatures are the result of some old Viking Cannibal thing??? I understand there are accounts of Vikings arriving in the Northwest possible pre Columbus? hELP? I did’nt know it, but Woody in in the beginning of the show. They sound so much alike. Albert was also EXTREMELY lucky to have packed his rifle and the food and snuff INSIDE his sleeping bag!, or else he’d of had no “gifts”, etc. I wonder what a Squatch clan would think if their dad came home and poured ‘No Shoes Curly’ out of a sleeping bag!! Wes Germer..hey Wes Germer…did you get that link to that documentary about koko the gorilla? It seems it’s all about learning to communicate. I did like the episode. I still doubt it was Albert’ s encounter. And now I wonder about this accounting ..the feet ….looking like the pads dog’s have on their feet…i heard sasquatch have dermal ridges..is this a dog man encounter? I still don’t think this story belongs to Albert – more likely the Indian guides story ..wouldn’t be the first time a white guy ripped off an Indian. Just sayin. I do love to hear Bob talk. He’s experienced in the area. I don’t doubt. I like his down to earth responses. Just calling it as he sees it. Believe him or don’t..He knows what he knows. Very likable fella. What a great account, production & show with Bob. Why not believe Albert; remember when you thought Sasquatch was a myth? Must admit I have a bit of a crush on Bob, though…..